BSC hosts today and tomorrow the kick-off meeting of this project. The European Centre for Medium-Range Weather Forecasts ECMWF, the entrusted entity for the Copernicus Climate Change Service (C3S), has signed with the Barcelona Supercomputing Center (BSC) the contract for the implementation of the Evaluation and Quality Control (EQC) function of the C3S Climate Data Store (CDS). The CDS is the largest fully public global repository of climate data. 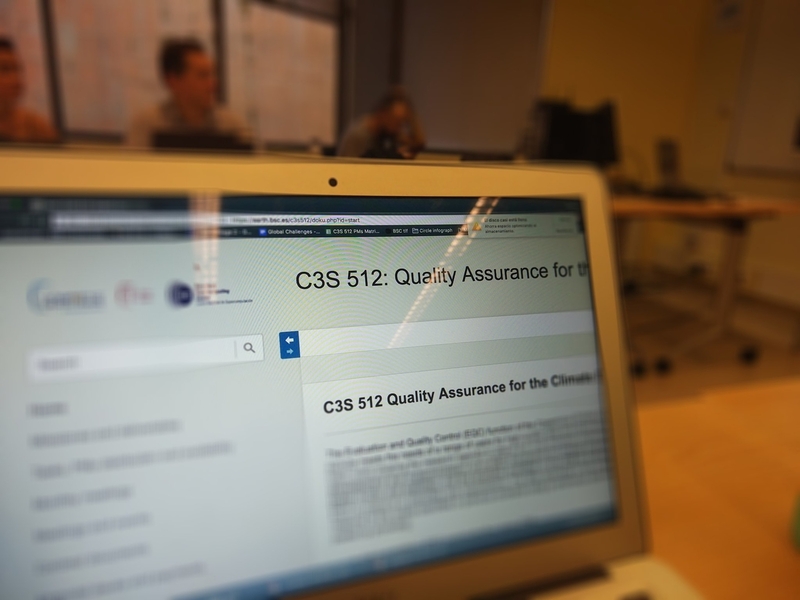 The purpose of the EQC function is to provide operational quality assurance information for all C3S products and services as well as to ensure that users have the information they need in order to use the products and services for their own purposes. The contract activity started last October and the kick-off meeting with all the subcontractors and the C3S representatives will take place at BSC on 13-14 November 2018. This project involves eight institutions: BSC, Deutscher Wetterdienst (DWD), Ilmatieteen Laitos (FMI), Koninklijk Nederlands Meteorologisch Instituut (KNMI), Predictia Intelligent Data Solutions S.L. (Predictia), Consiglio nazionale delle Ricerche (CNR), Wageningen Environmental Research (WENR) and Météo-France.